Urban Bush Women (UBW) burst onto the dance scene in 1984, with bold, innovative, demanding and exciting works that brought under-told stories to life through the art and vision of its award-winning founder Jawole Willa Jo Zollar. The company weaves contemporary dance, music, and text with the history, culture, and spiritual traditions of the African Diaspora. Under Zollar’s artistic direction, Urban Bush Women performs regularly in New York City and tours nationally and internationally. 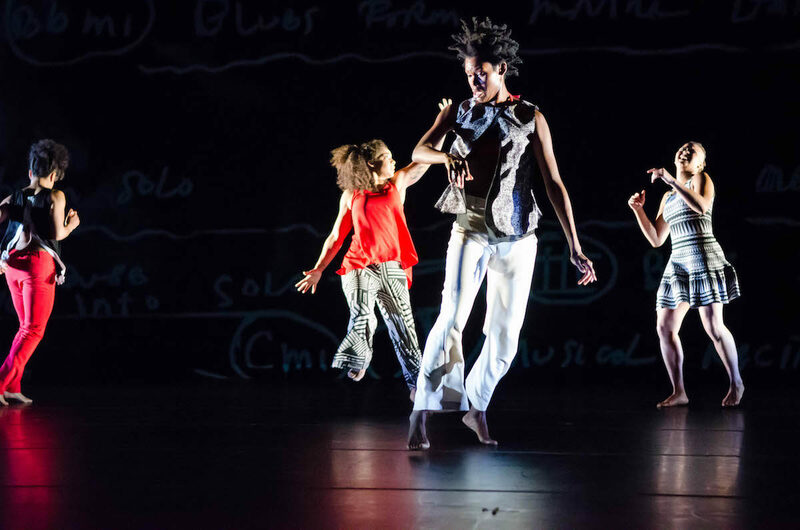 The Company has been commissioned by presenters nationwide, and includes among its honors a New York Dance and Performance Award (“Bessie”); the Capezio Award for Outstanding Achievement in Dance; a Black Theater Alliance Award; and two Doris Duke Awards for New Work from the American Dance Festival. In recent years, Zollar has been awarded the 2014 Southern Methodist University Meadows Prize, the 2015 Dance Magazine Award and the 2016 Dance/USA Honors Award. In 2017, Zollar received a Bessie Award for Lifetime Achievement in Dance. Off the concert stage, Urban Bush Women has developed an extensive community engagement program called BOLD (Builders, Organizers, & Leaders through Dance). UBW’s largest community engagement project is its Summer Leadership Institute (SLI), established in 1997. This 10-day intensive training program serves as the foundation for all of the company’s community engagement activities. Ultimately the SLI program connects dance professionals and community-based artists/activists in a learning experience to leverage the arts as a vehicle for civic engagement. UBW launched the Urban Bush Women Choreographic Center Initiative (CCI) in January 2016. The CCI supports the development of women choreographers of color and other underheard voices. Jawole Willa Jo Zollar (Urban Bush Women Founding Artistic Director and Visioning Partner) After earning her B.A. in dance from the University of Missouri at Kansas City, Zollar received her M.F.A. in dance from Florida State University. In 1984 Zollar founded Urban Bush Women (UBW) as a performance ensemble dedicated to exploring the use of cultural expression as a catalyst for social change. Zollar developed a unique approach to enable artists to strengthen effective involvement in cultural organizing and civic engagement, which evolved into UBW’s acclaimed Summer Leadership Institute. She serves as director of the Institute, founding artistic director and visioning partner of UBW and currently holds the position of the Nancy Smith Fichter Professor of Dance and Robert O. Lawton Distinguished Professor at Florida State University. Awards: 2008 United States Artists Wynn fellowship, 2009 fellowship from the John Simon Guggenheim Memorial, 2013 Arthur L. Johnson Memorial award by Sphinx Music, 2013 Doris Duke Performing Artist Award, 2014 Meadows Prize from Southern Methodist University, 2015 Dance Magazine Award, 2016 Dance/USA Honor Award, 2016 Black Theater Alliance Award, 2017 Bessie Award for Lifetime Achievement in Dance, 2018 American Conference on Diversity Performing Arts Humanitarian Award.